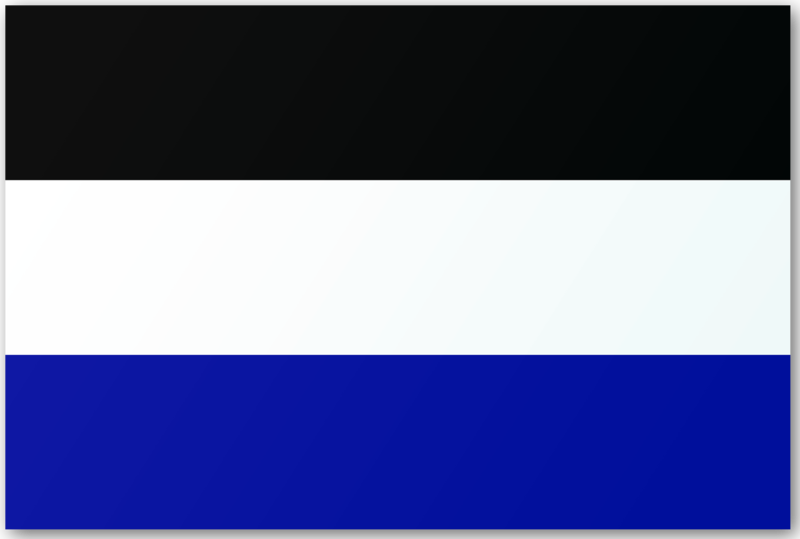 The flag of Neutral Moresnet is a combination of the flags of the Netherlands and Prussia. Borders can cause a lot of problems. I’ve already talked about how shifting rivers can create odd little enclaves on the landscape. But borders can be tricky even when there aren’t rivers involved. This is the story of Neutral Moresnet, a one square mile wedge of land that was a quasi-country for a hundred years. After the fall of Napoleon in 1815, all of the major European powers gathered in Vienna to redraw the borders of Europe. They wanted to keep a “balance of power” throughout the Continent (i.e. preserve the pre-Napoleonic status quo). They did some odd things to achieve this goal, like grouping what’s now the Netherlands and Belgium together, while leaving Germany as a loose confederation of states. But in redrawing these borders, there were a lot of little hiccups. One such hiccup was the Vielle Montagne zinc mine in a little town called Moresnet. One of only two zinc mines in Europe, this mine was bitterly contested between the Netherlands and Prussia. After a year or two of negotiations, they came upon an odd solution: Neutral Moresnet. The zinc mine and the area around it became an international no-man’s-land, loosely managed by both countries involved. Over the next half-century, Belgium gained its independence while Prussia conquered and united the rest of Germany. Meanwhile the zinc mine dried up. Neutral Moresnet now had no real reason to exist, but the people living there wanted to keep it going. After all, taxes were low and Moresnet residents were ineligible for the draft in both Belgium and Germany. As a quasi-independent micro-nation, the area attracted several moneymaking schemes such as casinos and commemorative stamps. These schemes all failed, thanks to the influence of Belgium and Germany, “real” countries that didn’t care for the competition. Then, in 1908, local Moresnetian Wilhelm Molly suggested making Neutral Moresnet the world’s first Esperanto-speaking state. For those of you not familiar with the concept, Esperanto is a constructed language designed for international communication. Esperanto debuted in 1887, with the hope that people of different nationalities could use communicate in a culturally neutral language. This in turn would reduce misunderstandings and promote friendship and peace. Esperanto’s neutrality fit with that of Neutral Moresnet, leading Wilhelm Molly to propose renaming the area Amikejo, or “Friendship Place”. From 1908 to 1914, Esperantists flocked to the area, trying to make Esperanto the official language of Neutral Moresnet. This helped Esperanto adapt and evolve with the times. Whereas other culturally neutral languages, like Volapuk and Ido, died off in the nationalist struggles of World War I, Esperanto survived by creating its own culture. Instead of a culturally neutral language, Esperanto evolved into a subculture, with fans as adamant as any comic book geek. Modern Esperantists owe a great deal to Neutral Moresnet. Though Molly failed in his attempts to create an Esperanto Nation, he succeeded in giving the language an unofficial home, a modern-day Urheimat. Neutral Moresnet should have disappeared from the day the zinc mine closed. Instead it hung on for nearly half a century. But in the end, Moresnet/Amikejo was no match for the German Army. The state ceased to function in 1914, when Germany invaded Belgium. After the war, the Treaty of Versailles eliminated Moresnet once and for all, making the entire area wholly Belgian. Germany invaded again during World War II, but the area remains as part of Belgium (albeit a German-speaking region of Belgium). Meanwhile Amikejo remains in the lore of the Esperanto community, a reminder of what could have been. And more importantly, a reminder of what could be. 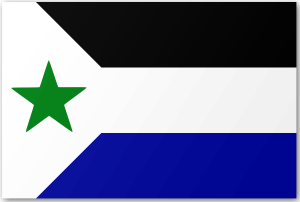 I’ve always been interested in the Esperanto language & micronationalism. Thanks for the info.